People under the age of 40 diagnosed with type 2 diabetes are more likely to have or die from cardiovascular disease than people of a similar age who do not have type 2 diabetes, according to brand new research. We’re becoming increasingly aware of the health related problems associated with this lifestyle condition – erectile dysfunction, foot related problems, loss of vision, miscarriages and, as found in the study mentioned, cardiovascular disease. Yet more people than ever are at risk; it’s crucial that, as a society, we start making changes to prevent and reverse this issue. Dr. Sarah Brewer explained why people diagnosed with the condition under the age of 40 are more likely to die from cardiovascular disease: “Having type 2 diabetes is associated with raised glucose levels and increased production of harmful free radicals. “These damage large blood vessels to promote hardening and furring up of the arteries, increasing the risk of long-term complications such as high blood pressure, heart attack and stroke. “The longer you have type 2 diabetes, the more likely you are to develop these complications. It’s therefore not surprising that this latest study found people diagnosed with type 2 diabetes before the age of 40 had the greatest excess risk for cardiovascular disease. 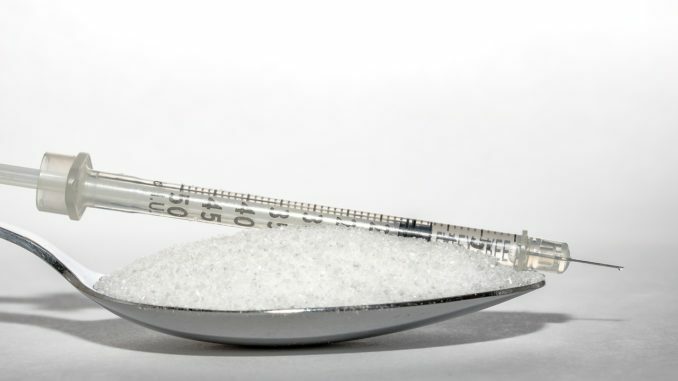 “If you or a loved one have been diagnosed with type 2 diabetes, think about the positive changes that you can do now and by all means do not – I repeat, do not – sit and wallow on this news. The same study also found that the excess cardiovascular risks were more pronounced in younger women with type 2 diabetes. Cardiovascular disease is an umbrella term that includes all diseases of the heart and circulation including coronary heart disease, stroke and could also include vascular dementia which is a problem of blood flow in the brain. “Good dietary and lifestyle advice are important for the prevention of cardiovascular disease and certain nutrients have been shown to be helpful,” said Dr Marilyn Glenville, a leading nutritionist. “High levels of homocysteine in the blood have been shown to increase the risk of damaging the lining of the arteries and this can contribute to heart disease and stroke. Do you let your emotions determine what you eat? Or perhaps you just feel like you’re not in control of your food and weight? “We all need to eat food to live so if you want to change your relationship with food you need to make friends with the need to eat. If you eat emotionally (stuffing down feelings with food, denying feelings through starvation and control, or purging through vomiting), you need to understand the underlying emotions which you are trying to annihilate or deal with,” explained psychotherapist and psychologist, Corinne Sweet. “Tips for healthy eating are: learn to recognise your hunger, eat when you are hungry. Learn the difference between emotional hunger and physical hunger and treat them differently.